For an excellent, caring Cerritos and Long Beach, California personal injury lawyer, wrongful death lawyer , or business litigation attorney, contact the Law Offices of Steven Sedrak. 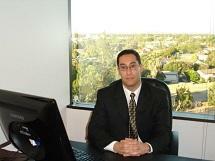 Sedrak Law Offices, located near Long Beach, CA, is a law firm focusing on civil litigation. Matters handled include civil litigation, business litigation, contract disputes, personal injury, and wrongful death. The legal process can be complicated and intimidating. If you have an issue or dispute involving one of these areas, come to a lawyer who truly seeks the best interests of his clients to meet your legal needs. Sedrak Law Offices is dedicated to assisting clients achieve the resolution they seek.